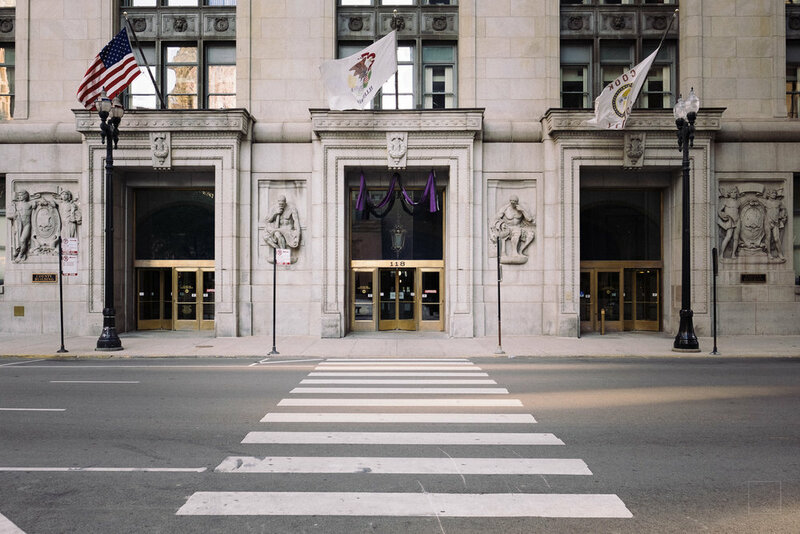 Sunday was a heck of a day for me at the Out of Chicago conference. I wound up waking up early (like 5:30AM early) and couldn't sleep. I had nothing to do before 8:30 when my first session was set to start. A photographer alone in a new city, unencumbered by anything other than photographic gear always has something to do. So I headed out for a little photowalk. A black Venti Pike in my left hand, a silver X100F in my right, I hit the streets before most of Chicago was even awake. Later on, it was time for a street photography photowalk with Marie Laigneau. I learned more than anything else I have a lot to learn about street photography. But I think I got a few interesting shots in, nonetheless. I went out for a walk at lunch (what else is there to do, really?) and headed for Millennium Park, which was totally overrun by tourists. 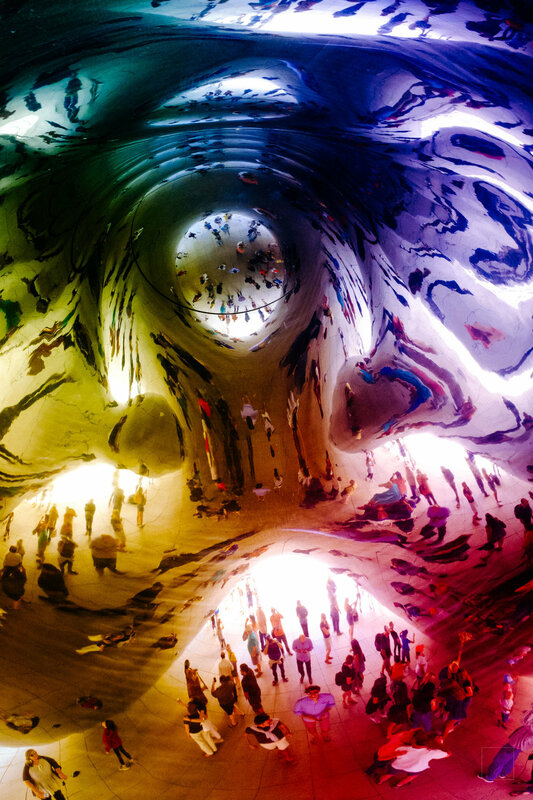 The Bean, a must-see piece of public sculpture, is surrounded by throngs of people and is almost impossible to shoot "cleanly". So I didn't even bother trying. It makes for some pretty compelling abstracts, though. Rick Sammon's closing talk at the end of the day inspired my to play around with colour, in honour of the day's Pride festivities. After lunch it was time for yet another photowalk, this time with Angie McMonigal, an exceptionally talented architecture and fine art photographer. She's really nice, too! Our walk was centred around architecture (naturally) and I think this is where I came into my element a little more. After all that, it was time to head back and put my tired feet up.